Why Come to Aesthetic Laser Care for Your Next IPL (Photofacial) Treatment? • We have performed tens of thousands of IPL treatments since 2004 and will show you before and after photos of many satisfied clients during your complimentary consultation. Intense Pulsed Light (IPL), also known as Photofacial, is a non-ablative mixture of many wavelengths of light which work beneath the skin’s surface to greatly reduce brown spots, discolorations, redness, and broken capillaries. Photorejuvenation with IPL also improves skin tone and texture, and minimizes fine lines by inducing significant structural change in the epidermis and dermis. Generally, a series of two to four IPL treatments is needed to gradually give your skin a more homogeneous appearance. Further improvement can be achieved by combining IPL with treatments such as dermal fillers and Botox. IPL treatments utilize intense pulsed light to target a variety of skin conditions. Dr. Lafkas has created custom protocols for our IPL settings to best match the relative depth, size, and absorption characteristics of the intended target (e.g. brown spot versus superficial capillary). This flexibility and variability allows us to maximize results and minimize side effects. 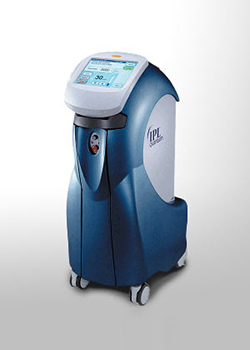 What Equipment Does Aesthetic Laser Care Use for their IPL? Aesthetic Laser Care uses the Quantum SR from Lumenis. IPL from Lumenis is the gold standard for photorejuvenation. This FDA-cleared, patented technology provides dramatic results for a variety of benign conditions, including age spots, sun-induced freckles, symptoms of rosacea, birthmarks, unsightly veins, and other blemishes. Lumenis IPL has been available and FDA-cleared since 1995. • Avoid tanning and excessive sun exposure 4 weeks prior to your treatment. •The treatment areas should be cleansed and all makeup or creams removed. 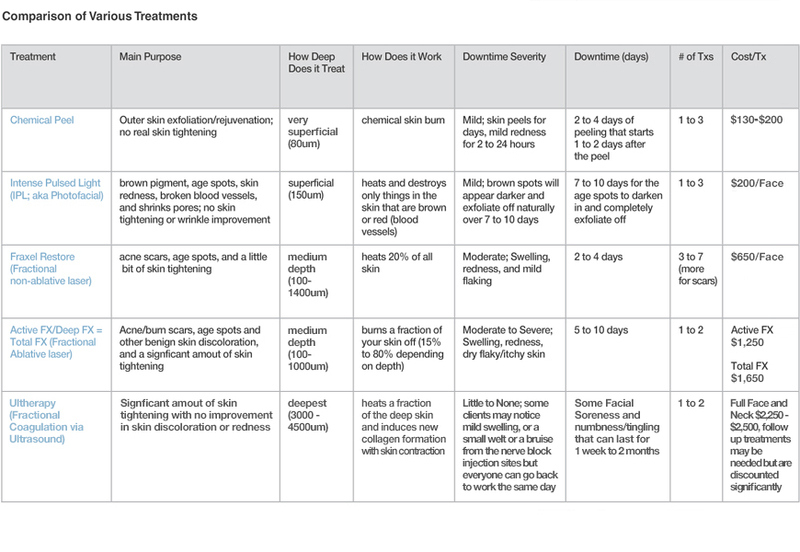 • Although not needed, a topical anesthetic may be applied 20 to 30 minutes before treatment. • Each treatment takes approximately 15 to 45 minutes depending on the size of the area treated. • A sunburn sensation is common. Cold packs may be used for ten minutes after your treatment. • The skin may appear pink and flushed. This usually resolves after several hours. • Age spots and melasma patches will darken over several days and either exfoliate off over 7 to 10 days or fade over several weeks. • Striping is common in areas treated off the face, like the arms and chest, and require follow up treatment to even out the results. • Gentle cleansing and sun protection are important while the skin is sensitive. • It is very important to avoid tanning 4 weeks before and 4 to 6 weeks after your treatments. • In general, there is little downtime with IPL. Occasional bruising and swelling may occur but is temporary and resolves over 3 to 7 days. You can resume normal activities immediately after your treatment. • Gradual improvement will be noted over your course of treatments.